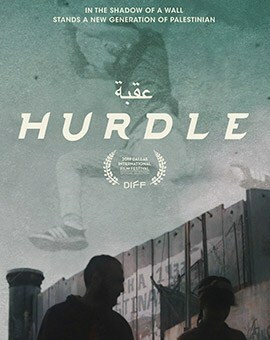 Synopsis: Hurdle reveals a visceral look at the lives of Palestinian youth living under military occupation. Hurdle’s protagonists, Sami and Mohammad, begin teaching the creative practices of parkour and photography to the youth of their communities as a means to overcome the personal and political stress that often feels inescapable. During a year of unrest, they lead the next generation towards freedom through creative practices. 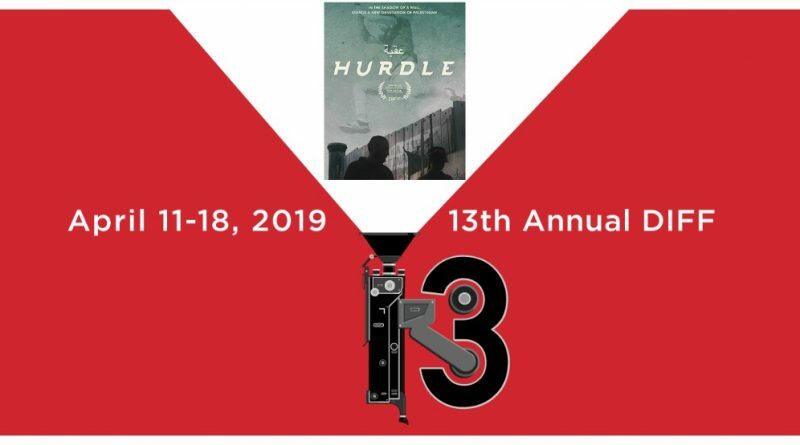 Review: The Documentary HURDLE from Dallas native Michael Rowley is a visual and emotional look at freedom and how it often has to come from within; especially when you live in a place where your personal freedom has been taken away. In this film we meet Sami and Mohammad. Two men who have decided that walls and military occupation are limited in their power over the human spirit and have chosen to encourage the youth of their communities. Their outlets are more than just a distraction but rather a way to divert the focus from the negative to the positive. HURDLE is expertly shot in a way that engages the viewer on multiple levels. Not only do we get to hear the stories but we also get time to experience the culture through wordless visuals. I was surprised by what I saw when I wasn’t listening to someone speak. The graffiti, buildings, and streets seem to tell their own narrative. I had a chance to ask Michael Rowley a few questions about the creation of this documentary. Matt Mungle – What are the emotions of having this film premier in your home city? Rowley – We are very excited that the Dallas International Film Festival is hosting our World Premiere! The festival champions the films in its program and provides top-notch films from all over the world to audiences here in Dallas. Aside from this, Hurdle has been a long journey for us as filmmakers – we first began pre-production a little over three years ago. When you’re an independent filmmaking team working on something for that long, the community where it is being created becomes an integral part of the finished product. So many North Texas folks have been our support system all along the way, whether it be emotional, financial, or providing us with their creative services. I think I speak for the entire producing staff when I say that we couldn’t have done it without these people stepping in and joining us in the creative process and we are so grateful for the support we’ve received from here and from around the country. So in many ways, we’re excited to celebrate the film with the community from which it was born and who was an important part of making it happen. MM – I noticed in HURDLE that often you let the camera tell the story more than dialogue. Allowing us to organically engage. As editor and cinematographer was that a tone you set out to achieve or did it just make sense once you saw the footage? MR – So much of what makes the story of Hurdle powerful is the environment in which it takes place and what the characters do within that environment. 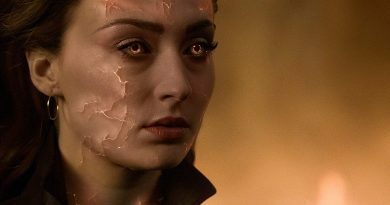 I knew from the beginning that I wanted the audience to arrive at this same conclusion and that it would take specific cinematography and editing choices for that to be accomplished. For me, that meant establishing the setting first: by showing their challenges in a physical, emotional and spiritual sense and then letting the camera roll and their actions being a response to those challenges and environment. MM – Were you surprised by the access you were given and the freedom to capture what you did? MR – I don’t know if I would classify it as surprised by the access, but more so grateful to the people that allowed me into their lives and welcomed me into their community. It was of utmost importance to myself and my producing team that we respect the community and characters and earn their trust before sharing part of their story. First, to allow someone from another country and background to show up with a camera to tell a story about you is no small thing – I fully understand that. Second, you add in the fact that this is a conflict environment where people have reason to be suspicious of an outsider’s intentions or even that the outsider is who he or she says they are. All of these things were my own obstacles to overcome with them and for the film. This is why we approached Hurdle in the way that we did. We set out from the beginning to be present as much as possible. We wanted to set boundaries that the story would cover our subjects’ lives over the course of one year. It may sound like a small amount of time to folks outside of the industry, but we were in production throughout all of 2017 — two months on and two months off — for a total of 6 months. That means that for 6 months you are sitting with your camera ready to go and if one of the characters invites you to join them for their day, you get up and you go. This really led to bonds being built in that they knew we were there and committed to them and the story, not just quickly helicoptering in and out to take something from them. From the first time I met them to now, it went from limited trust to gaining some lifelong friendships and I’m so grateful to know them and the sacrifices they made to allow audiences a window into an underreported experience. Finally, and equally as important, is the fact that I often heard from Palestinians that they feel forgotten by the world. They are some of the most resilient people facing some of the most harrowing odds; it humbles me in so many ways. I think part of my gaining access to their personal space was a sense of wanting to be seen, known and heard. They often told me to take this film and get it out to as many people as possible. It wasn’t based in a sense of desiring fame, but I think in many ways it felt like a flare being shot into the night sky – asking for help for anyone that would listen and then act. That is the beautiful thing about Hurdle to me. Anyone who watches the film is bearing witness to another’s experience and with that comes a responsibility. MM – Like most indie film makers you wore a lot of hats in this one – producer, director, editor, cinematographer – what advice would you give young filmmakers on how to keep all those jobs in balance so that nothing suffers? MR – Absolutely. There were multiple reasons for this. First, there was some intentionality behind being a skeleton crew in production (in our case, basically me shooting with my producing team supporting from home). Having only one person shooting the film allowed me to more easily build trust and access with the characters – they only needed to know me and my intentions. It also allowed me into more intimate spaces with them. It’s hard enough to act natural with a camera around, but imagine a crew in the same room and it adds a whole new dynamic. There were also considerations of getting into and out of the country and being light on our feet in an often unpredictable and sometimes violent environment. As far as the editing goes, there was a sense of knowing what I had captured over the course of a very long period of time and how I remembered wanting it later conveyed while it was being shot. However, I couldn’t have done any of this without my producing team of Andrew Brown and Remoy Philip. Their devotion and tireless hours can not be emphasized enough. All of that to say, my advice to other young filmmakers is to really think about what your film needs and then approach it with intentionality and humility. Collaboration is an absolute necessity. In our case due to the needs of the project and, frankly, budget constraints we had to stay small. But in staying small we always sought out advice and listened. From day one we were knocking on doors and finding contacts who had been where we were in the filmmaking process and we were so grateful for any advice or counsel they afforded. You have to be humble enough to seek other people’s input, see the value in it and then move forward. There are moments where you have to stick with your gut despite other people’s opinions, but we also wouldn’t be where we are today if we didn’t have input and help from people with more experience than ourselves. Long story short, never stop asking for people’s advice and that will keep you in check when playing so many roles. MM – There are lots of beautiful metaphors in this film about freedom and how art and parkour allow these young men to rise above their circumstances. What do you hope American, privileged, viewers take away from this film? MR – Thank you for the kind words. Absolutely, I think there is a lot that we as Westerners can take away from the film. One, and most obvious, is to not take for granted what we have and to be mindful of what others do not. Don’t just rest in that fact, but find ways that you personally can work to make a more equitable and just society for all people. As I mentioned before, we have now borne witness to injustice, to just sit back and revel in your comfort becomes something worse than naivete. Second, the characters took the meaning of freedom and transformed it. So often we think of freedom as something that you have or don’t have – something you can possess. Instead of this way of thinking, they see it as something that can and has to be practiced. It transforms “freedom” from a noun into a kind of verb. That was something that was most profound and revelatory to me, personally. Freedom must be exercised and perfected, whether it is through parkour or photography or whatever your talents and opportunities are – you must act in your freedom and work towards perfecting it.